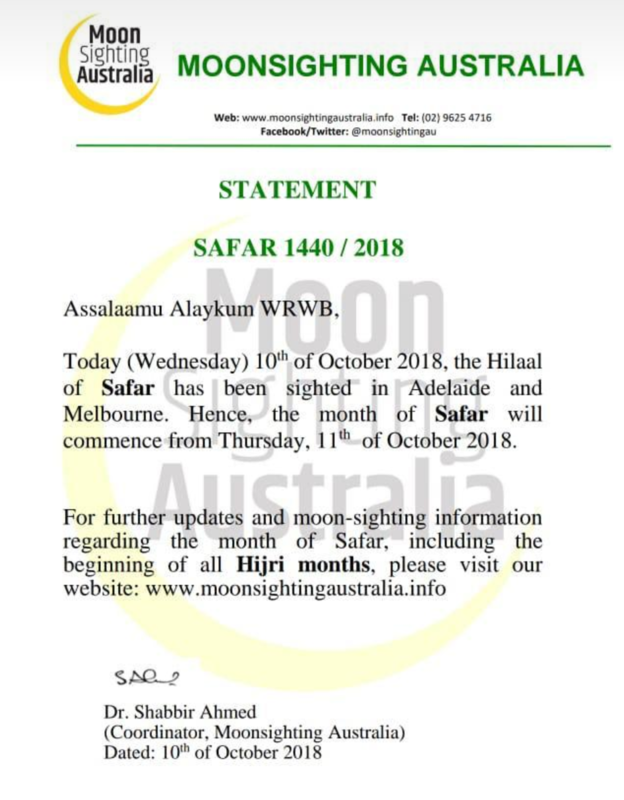 ← Muharram 1440 – Hilaal has not been sighted anywhere in Australia. Hence, the month of Muharram will commence from Wednesday 12th September 2018. This entry was posted in Moonsighting, Safar. Bookmark the permalink.